The Overview tab within the Leads section of the Admin Panel will provide you with a general overview of your leads. The Summary of Leads box will provide you with a breakdown of your leads by Lead Generation Tool (forms). 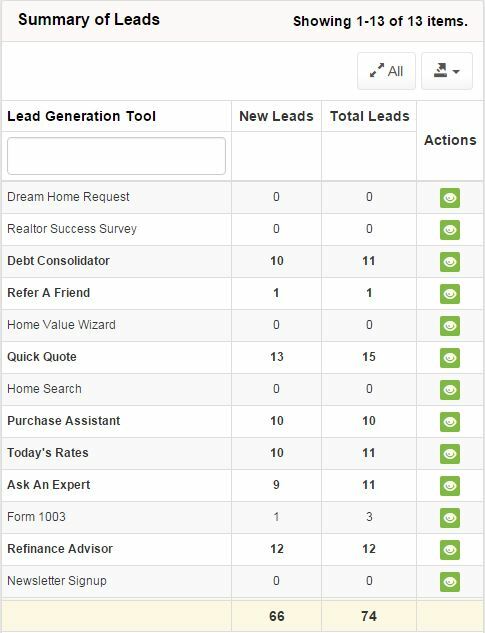 You are able to see the number of new leads as well as the total number of leads for each tool. The number of new leads and total leads across all forms is provided at the bottom of the list. Clicking the view button in the Actions column will allow you to view the leads generated for the corresponding form. You can export the lead data seen below by clicking the Export button. A number of formats are available to choose from depending on your needs. If you have a large number of forms, you can use the search box to show only certain ones. 20 forms will be displayed on a page by default. If you have more than 20 forms, you can click the All button to see all of your forms. There are two charts on the Overview tab which give you a visual breakdown of your leads. 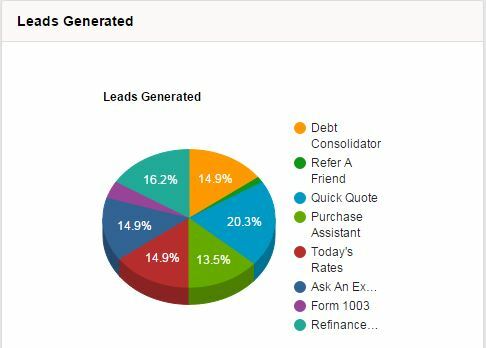 The Leads Generated field shows a pie chart of leads submitted by form. 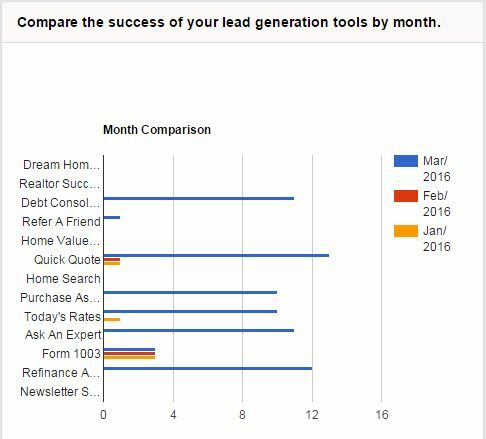 The second chart is a monthly comparison of leads generated by each form. This chart will display a comparison for the past 3 months.